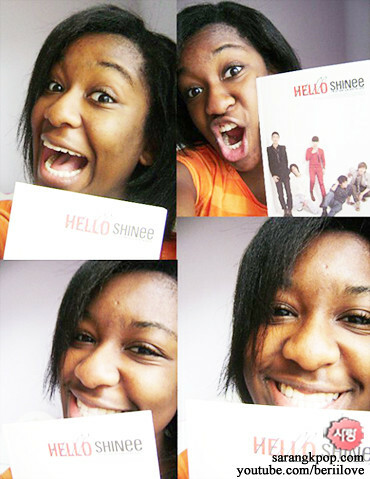 Interview with Halima (aka BeriiLove) about her kpop love. We think Bo Peep Bo Peep by T-ara is one of the most enjoyable K-pop songs ever and it reminds us of one American girl every time we listen to it. Yeah, we finally contacted her. This is about her K-pop story. 1. please introduce yourself briefly. 3. what made you into kpop? The most amazing thing about Kpop is that every entertainer is extremely talented, charismatic, and very good looking. What impressed me the most is how much training they endure and their ability to present such flawless stages. I also like that the dynamic concepts, sounds, and choreography of each artist/group are always so creative and fun. I love that Kpop has the ability to engage the audience, whether it be moving someone to tears with a ballad or having everyone groove to a fun dance track. There’s just so much to appreciate and enjoy! 4. how come did you start dancing to Kpop? I’ve loved to dance ever since I was a little girl, and after seeing many dance covers on YouTube I decided to give it a try. I was not extremely confident in my ability when I posted my first dance cover to SHINee’s Juliette, but its been almost two years since then, and thanks to the continuous practice in addition to the viewers comments, I have been able to improve. Although I may not be the best dancer in the world, dancing is what I love to do and I hope to get better with each new video that I post. 5. have you ever taken a dance lesson? I do take dance lessons! I’ve trained in ballet, tap, jazz, flamenco, modern, and hip hop since I was about 5 years old. But as much as I love to dance, it’s not something that comes to me naturally, so I often look a bit awkward in my videos lol. 6. I find your voice really good. Have you tried covering kpop songs? If not, why don’t you give it a try? 7. who is your favorite kpop star? BoA and SHINee are my favorite Kpop stars! 8. which kpop artist most influenced you? 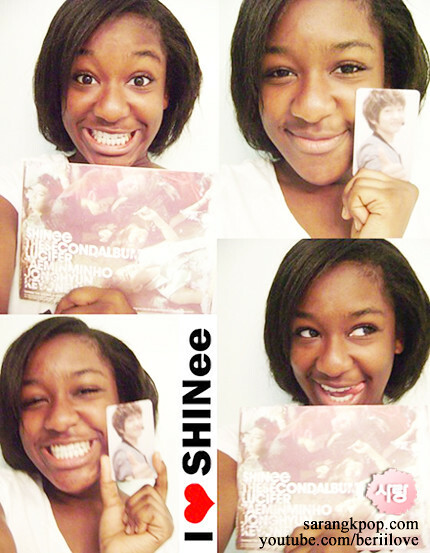 BoA and SHINee have influenced me the most. These artists have inspired me to dance and to live life well. Part of the reason why I dance kpop is because I hope to be as talented as them someday. In a way, I am also somewhat inspired by the majority of kpop artists out there right now. Their determination to perform well, please their fans, and succeed in life is truly admirable. 9. I think your Bo Peep Bo Peep Dance Cover was the first one that made you known to international kpop fans including Korean netizens. I also really enjoyed it. Did you expect that much response to it? 10. your아잉♡ (A~ing♡) by Orange Caramel seems to have got the most views and, after all is considered, I think it was the best one so far. How about you? What is your favorite one among all the dance covers you have done and why? 11. in the A~ing cover, you made three differrent versions and put them together. Different outfits as well. How did you come up with making the three different versions and how did you prepare the outfits? 12. You have a me2day account. As you know, it is the Korean version of twitter. When and how did you know about it? What made you create your account on it? Did you make many Korean friends since then^^? 13. tell us about kpop in your city. Is it picking up popularity now? 14. how do you choose a Kpop song for your dance cover? 15. where do you practice? How long does it usually take to master a dance cover? I usually practice in my bedroom when my family is at home, but when I’m home alone I practice downstairs in the living room or in the kitchen. Depending on the difficulty of the dance and how much free time I have, it could take a few hours to a few weeks to learn a dance. I’m somewhat of perfectionist so I practice as much as I can to get the dance right before uploading it to YouTube. 16. which kpop dance cover was the hardest one so far?